The Soto Board Rack* is A skateboard rack designed to maximize board storage, be strong, yet be able to flat ship to save on costs. I assumed the Obrary Etsy shop after meeting Scott Austin’s at the San Diego Maker Faire. I’ve added a couple of the Obrary products to my shop because they’re great simple designs that customers love. 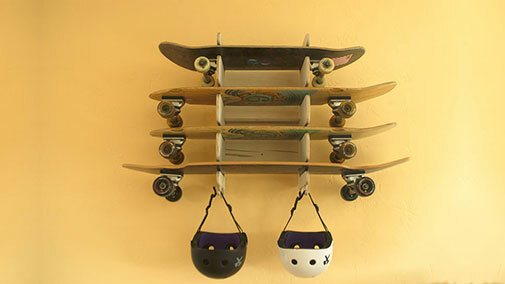 * Soto Board Rack design provided under Creative Commons Attribution – ShareAlike 4.0 International License, courtesy of Obrary.